Hopefully you have had the time to experience the new online casino Cashmio. This uk casino was released earlier this year and has made a huge success both in Britain and in Scandinavia. At Cashmio you can play on your favourite slots while you are completing daily missions in order to earn valuables such as free spins, cash and bonuses. Now it's time for Cashmio's first casino promotion and this promotion is open for both new and existing members. There are several offers to choose between and during the campaign period you can both claim ordinary free spins and more valuable Mega Dega Spins. These special spins that are exclusive to Cashmio are worth amazingly £1 per spin which is really high in comparison to the free spins that you are used to. This Wednesday you can login to Cashmio to get either extra valuable Mega Dega Spins or ordinary free spins. Or why not claim both while your at it! For depositing members at Cashmio there are 2 nice offers to choose between. 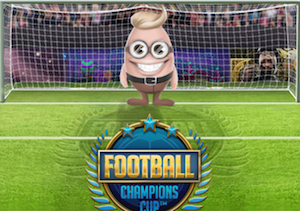 You can make a deposit to the casino of £20 or more and immediately get 30 free spins on the popular slot Football: Champions Cup. Or you can make a deposit of at least £50 and receive both 30 free rounds plus 20 extra Mega Dega Spins on the same game. These spins are special and worth £1 per round which could generate great winnings! If you haven't done your first deposit to this online casino yet you can make one today and be rewarded twice. 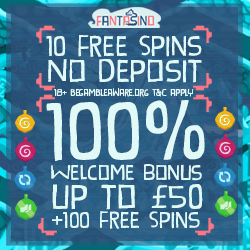 If you make a first deposit to Cashmio of £20 or more you will get amazingly 50 spins on Football: Champions Cup in addition the the standard welcome offer! All these offers are valid until midnight so make sure to visit Cashmio before the end of the day. As the current campaign wasn't enough there are more offers to check out at Cashmio this week. Between 8th-10th of July there are even more reload free spins to get for depositing players at this British casino. During this up-coming campaign you can make a deposit to Cashmio of at least £20 and get 50 free spins on the netent slot Elements. If you deposit slightly more like £75 you will also get 20 extra Mega Dega Spins on the same slot. If you don't have an account at Cashmio yet you can easily become a member right away. When you sign up at this new casino you get 20 free rounds to play with with no deposit required. Your free spins no deposit are valid for you on the exotic netent game Aloha: Cluster Pays. And when you're ready to make a first deposit to the casino you will be rewarded with even more free rounds on popular games!